I have groomed every kind of cat and to deny that some cats have a problem with being handled or combed is wrong. Cat groomers who force their way through the groom, with the attitude that they have been paid to do a job and the cat WILL do as THEY SAY, when clearly the cat is distressed and showing signs of fear aggression, are making life difficult for the owner for the future and also making the cat even more fearful. A vicious cycle. Making the decision to groom a cat under sedation is not taken lightly by me. However, There are times when I feel it is the safest and kindest way to go. If it not about me getting the job done, not about me proving I am a good cat groomer and can handle any cat, It is ONLY about the cat. If a cat is too stressed on the grooming table, and is badly matted, the most humane route to take is to sedate the cat to get it shaved. 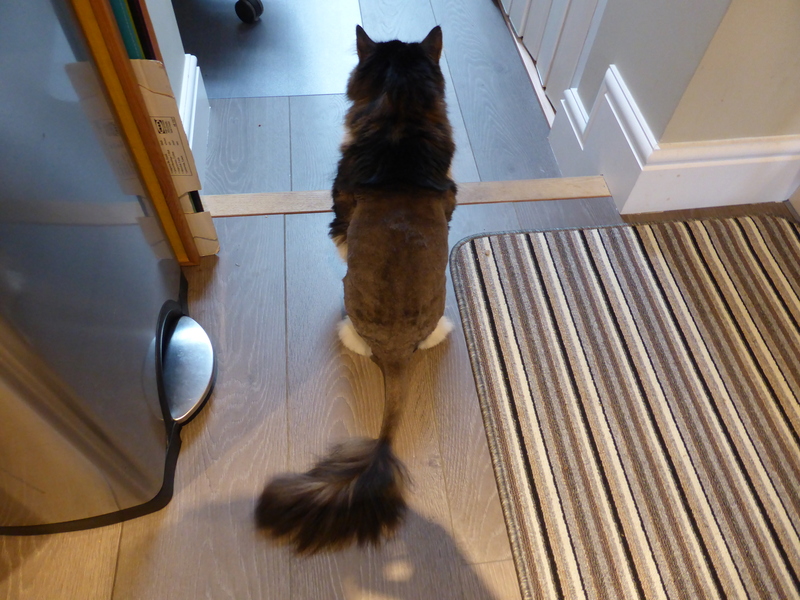 Once this has been done we have a clean slate to start the counter conditioning programme to help the cat get used to the grooming process. This option is never taken on a whim and is definitely not a long term solution or an easy way out. Learning the correct techniques and slowly training a cat to tolerate short sessions of grooming is the ultimate goal. I work alongside local vet Dr Carmichael at Addisons Vets in Holland Park. 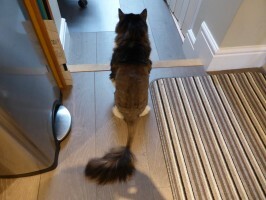 Cat grooming under sedation charges involved: £65 for the sedation in conjunction with my grooming fee. I do not charge twice for completing a groom under sedation. Before any sedation Dr Carmichael will give your cat a thorough medical examination. You remain with your cat during the sedation which takes seconds. Once your cat has fallen into a deep sleep, which usually takes about 5 minutes, you can go and get a coffee in one of the local cafes, browse some of the quirky shops or take a lovely walk in Holland Park. Make sure you check out the Japanese Gardens which are really relaxing. Once the groom is completed the sedation process will be reversed and your cat awakes within minutes. You are then called to take a wander back to pick up your cat to take home. Compassionate thinking is required for cat grooming. Of course, with any procedure involving sedation/anaesthetic there is a 0.0000001 risk of something going wrong. However, this is extremely rare. Millions of cats, as well as all kinds of other animals, are operated on everyday under anaesthetic. It is important to note that sedation is putting your cat to sleep for a short period and not full blown anaesthetic/gas which is used for operations and is much stronger. Dr Carmichael’s pre medical check up determines if sedation can go ahead. You cats’ age, medical conditions, and sound of heart are all taken into consideration. Dr Carmichael has been a vet for over 50 years so your cat could not be in better hands. Please contact info@catnips.co.uk. This type of issue can be very distressing and I am here to help anyone. Here is an article written for the Canine and Feline Behaviour Association on grooming aggressive cats. P.S: Thanks again for the lift home yesterday. Being able to get Halley back into her normal environment quickly made a huge difference.